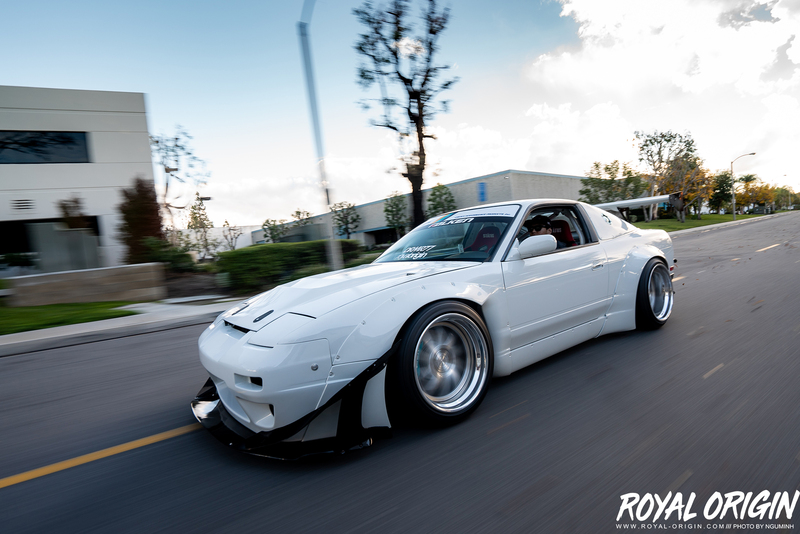 Sparkle’s Rocket Bunny S13 was getting shipped out to Taiwan, so Kevin hit me up to shoot the car for the last time in the United States. 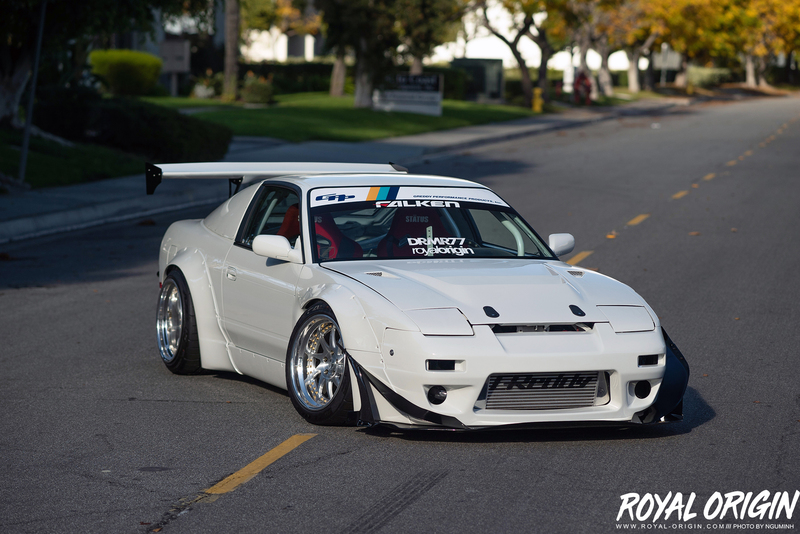 It’s been a car that I’ve seen transform from the very beginning when it was at Robros Customs getting stripped for paint to where it is now completed at Greddy Performance. 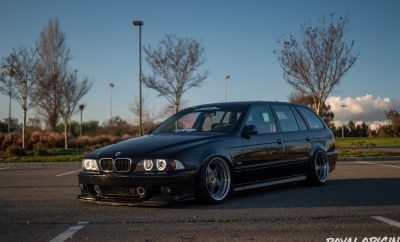 I guess I’m a little attached to this car and I’m definitely going to be a little sad that I won’t see it at Greddy anymore. 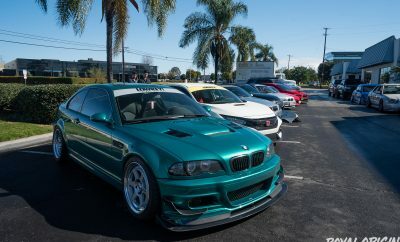 I also can’t wait to see Sparkle driving this beast in Taiwan! 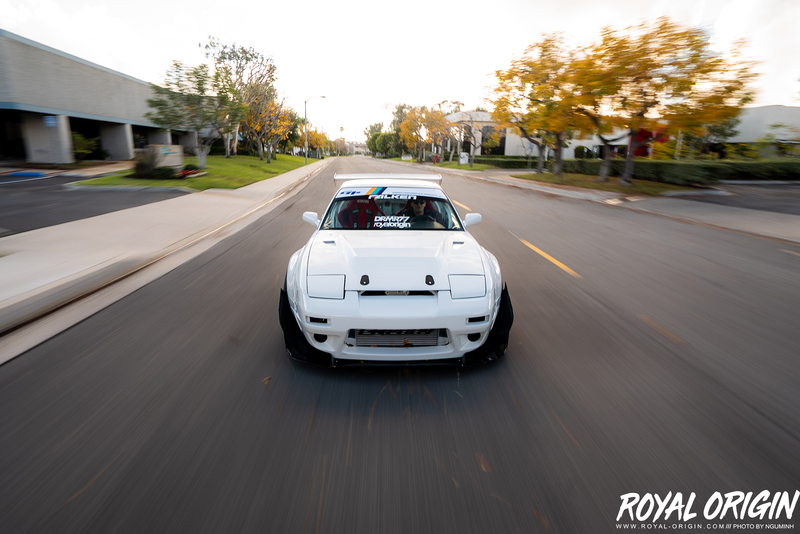 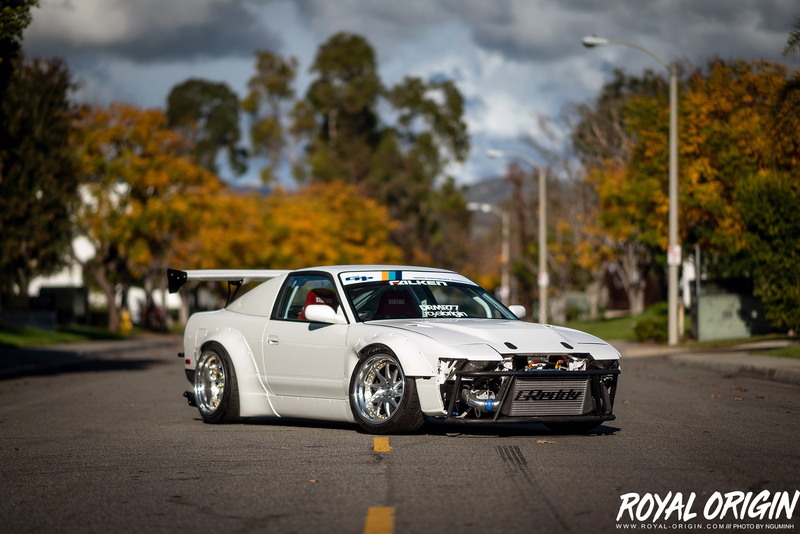 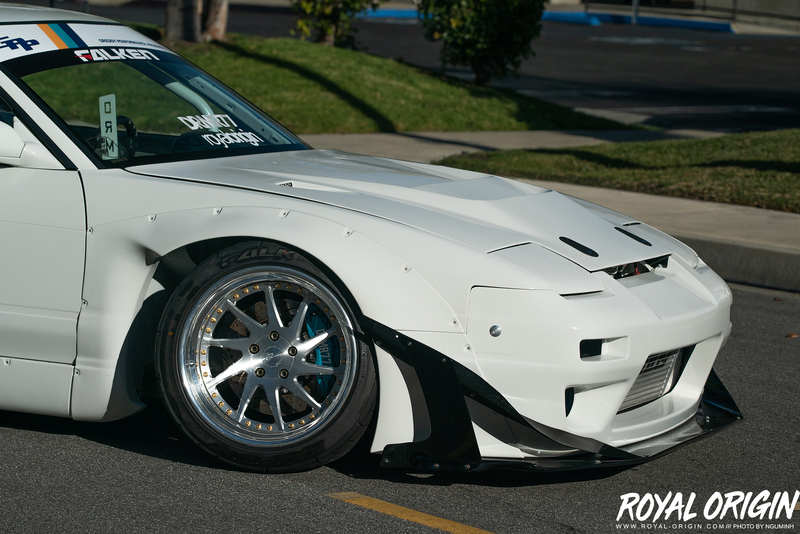 Anyways, check out some of the last photos of Sparkle’s Rocket Bunny S13 in the United States. 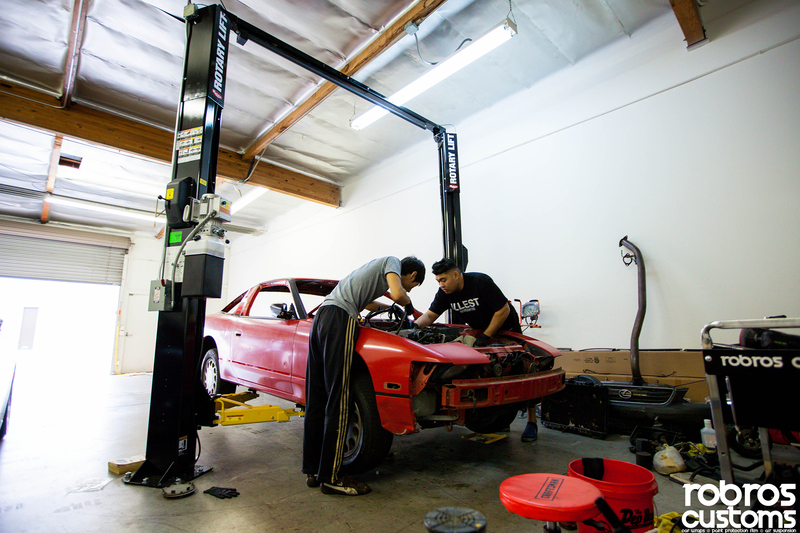 Throwback photo of when the S13 was being stripped for paint at Robros Customs. 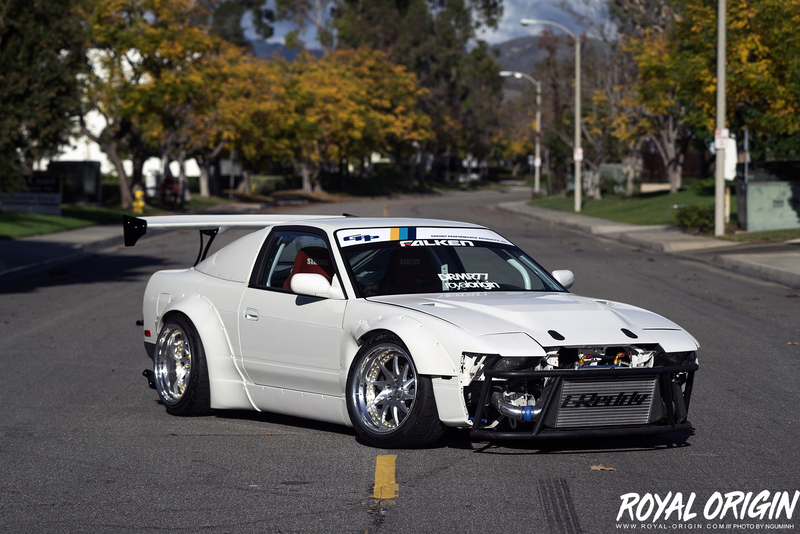 This little s13 hatch has definitely gone through a journey of transformation. 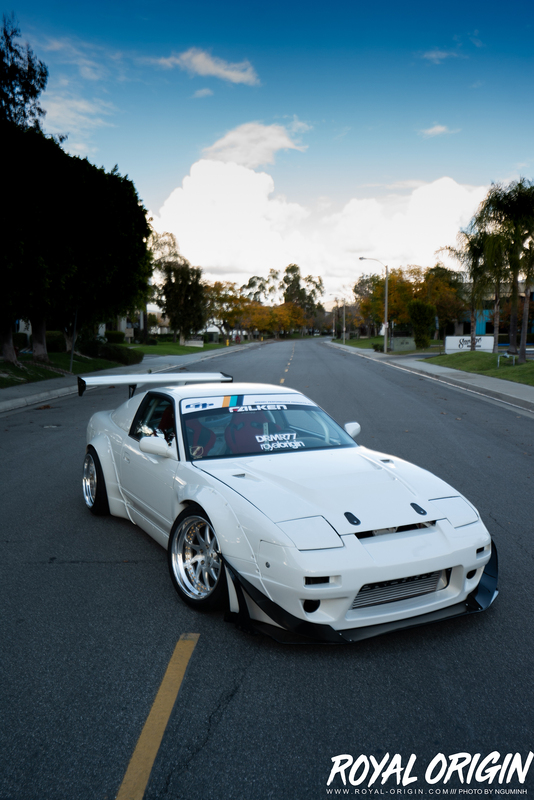 I love the white and black theme with the color match wing and roll cage. 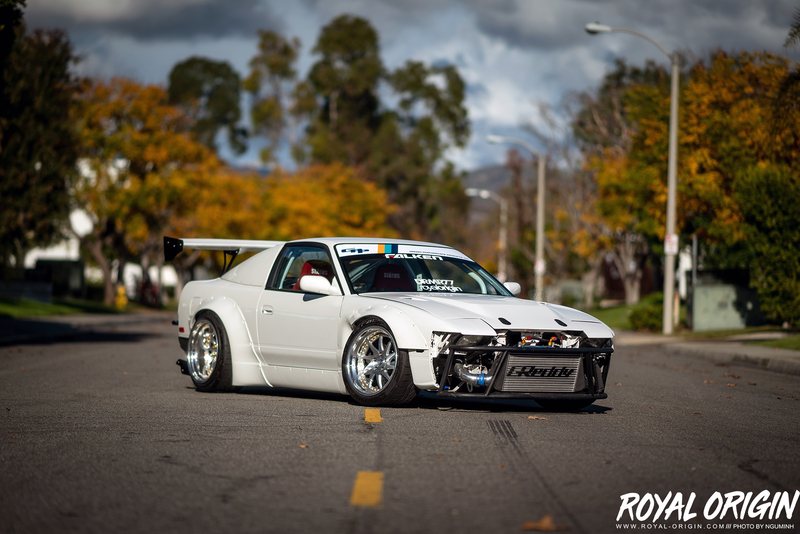 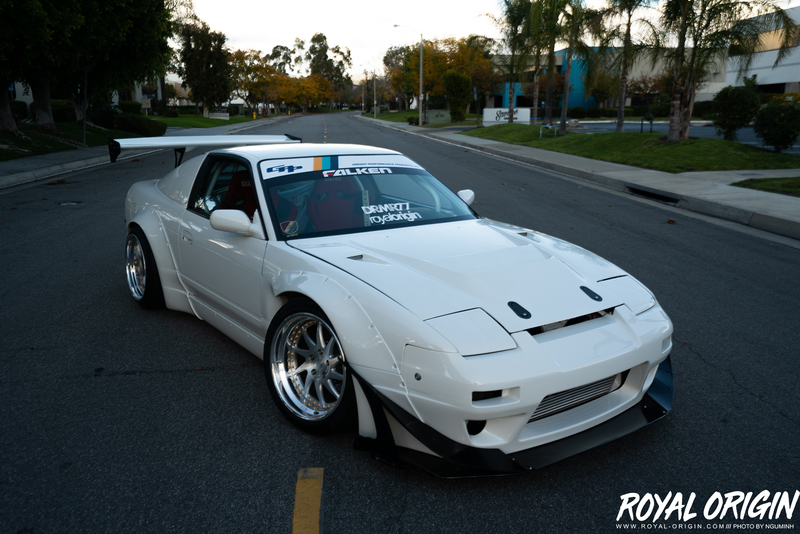 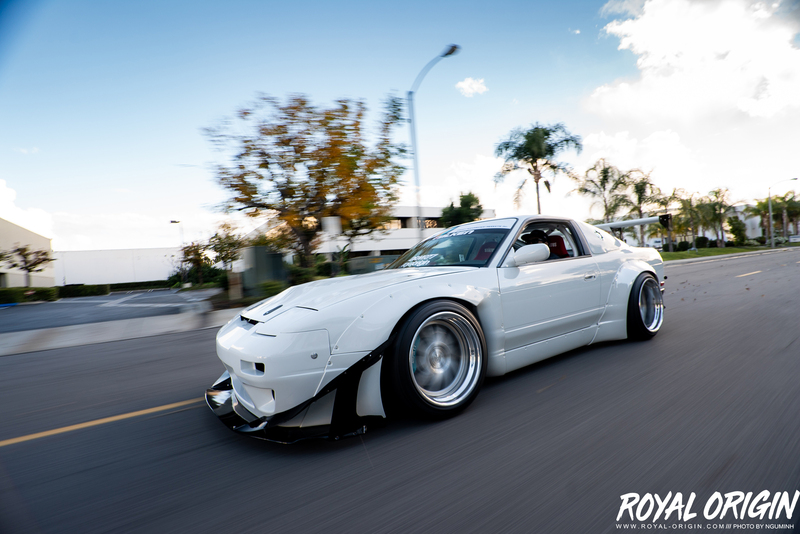 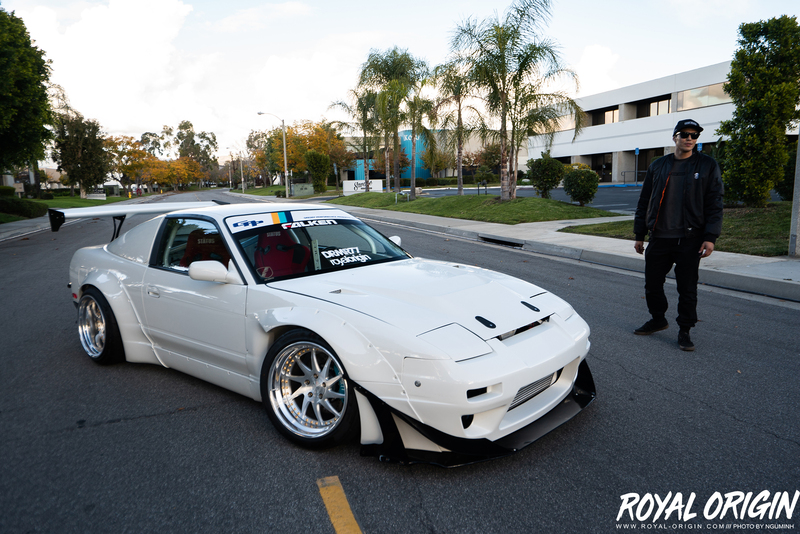 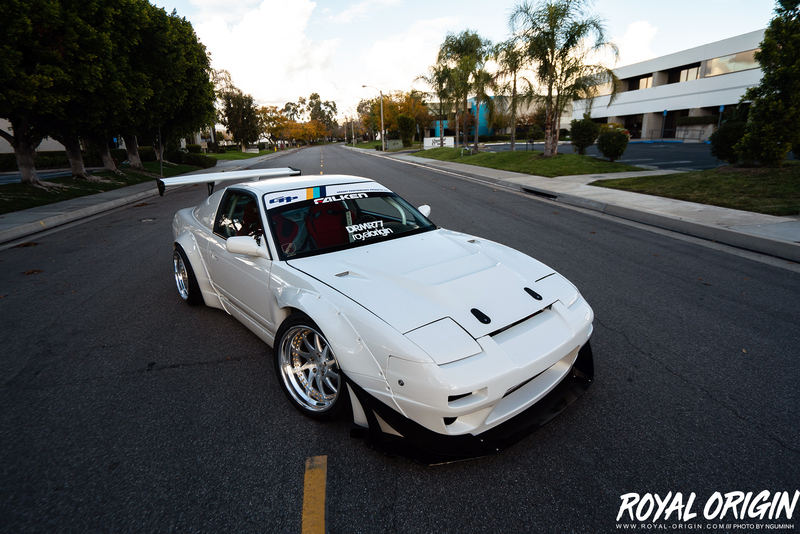 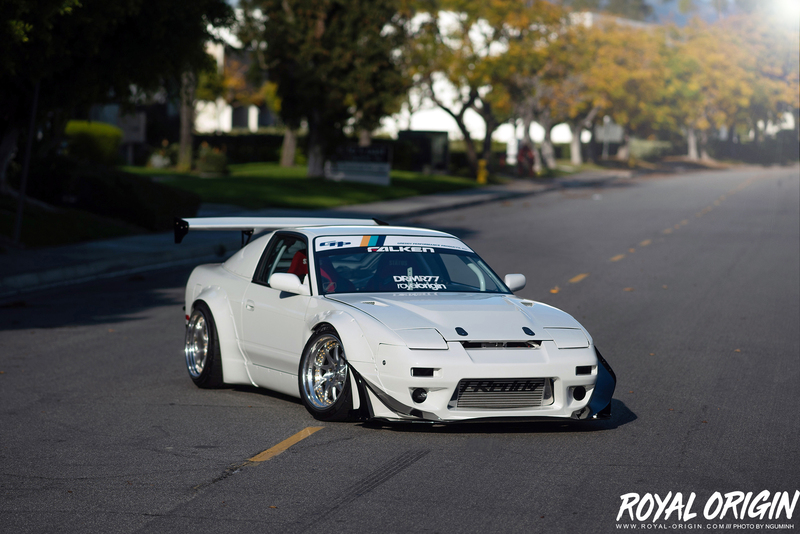 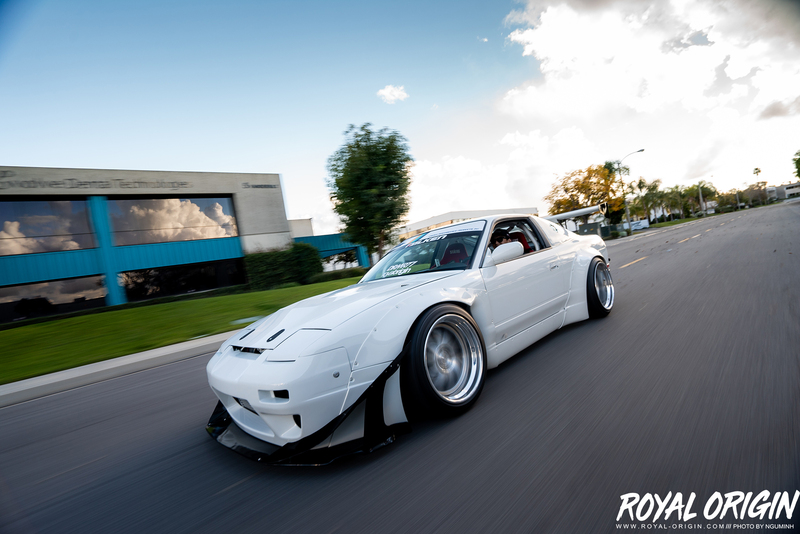 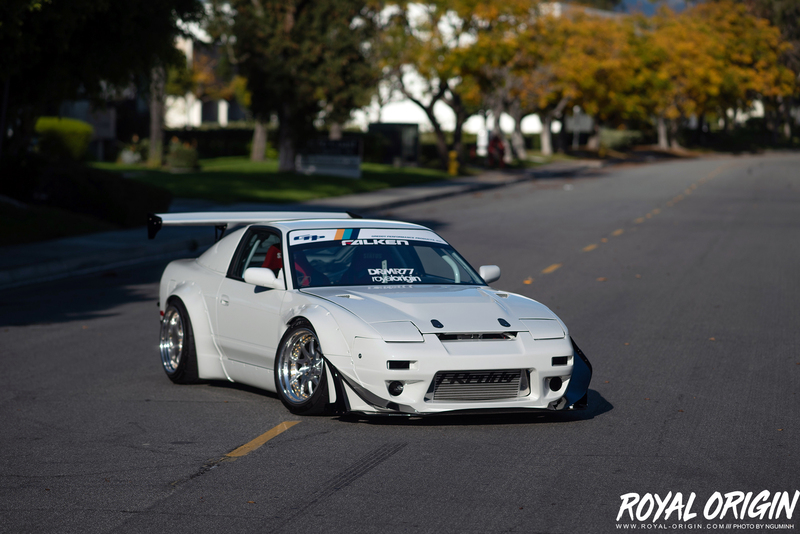 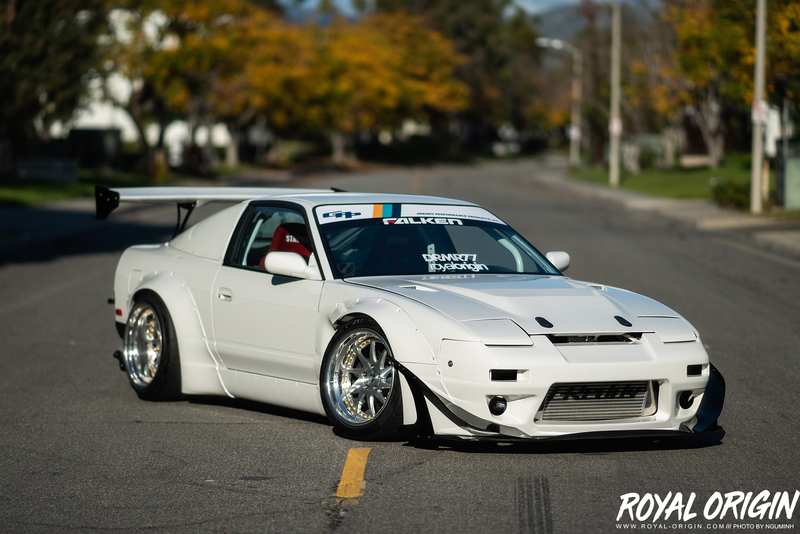 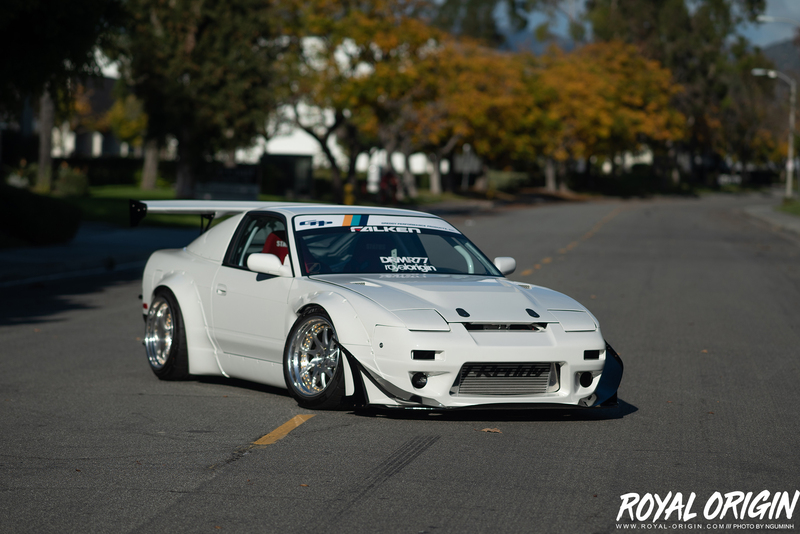 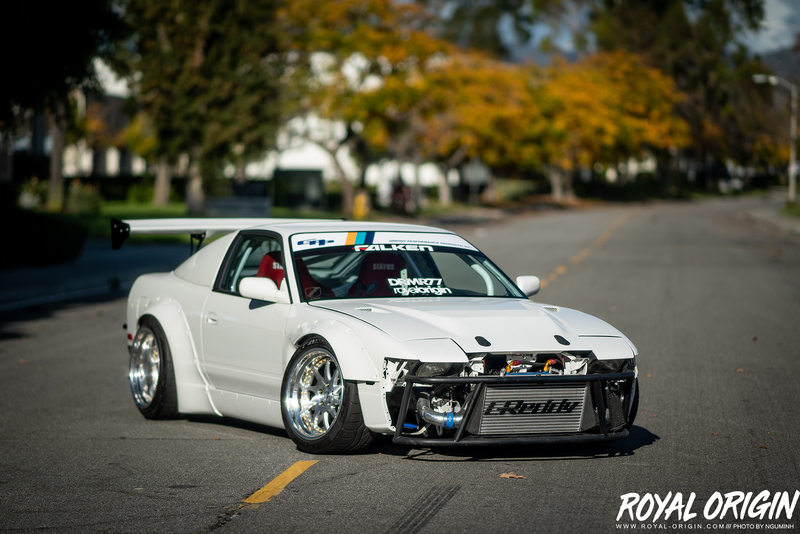 The front bumper canard is still the best looking setup from Rocket Bunny/Pandem. 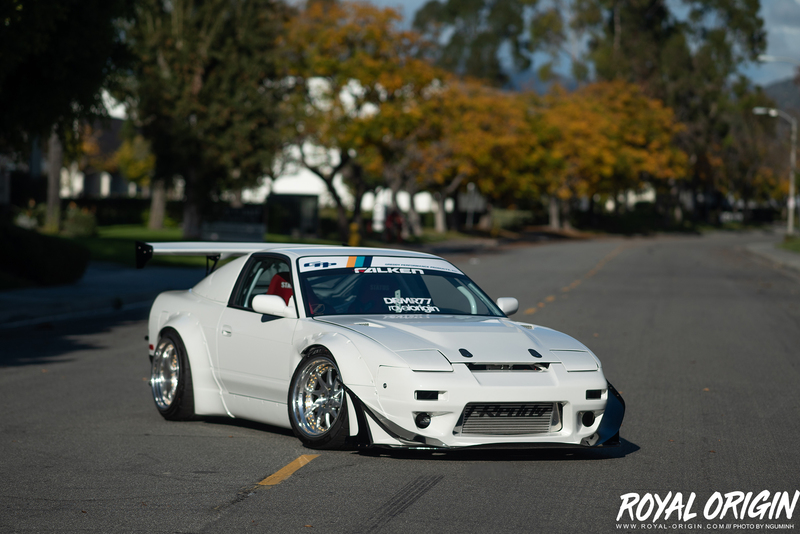 It still looks good without the front bumper, showing off the front bash bar by Street Faction and a big inter cooler setup by Greddy. 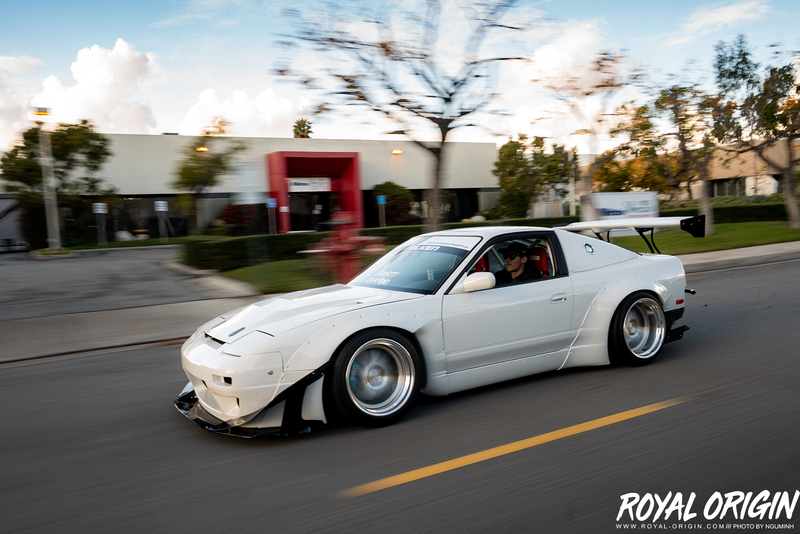 We went back into Greddy to ask someone to drive for some roller shots, while we were waiting I spent some time with Greddy’s Pandem FC. 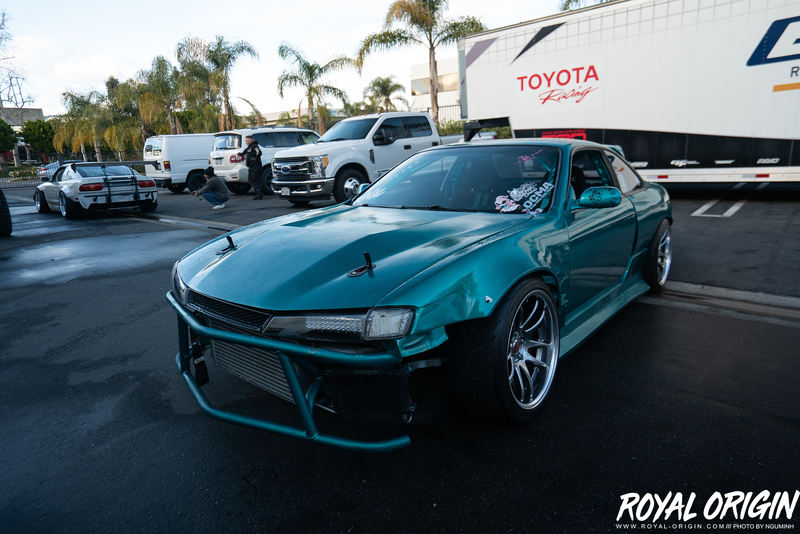 Melton’s sick S14 on Work Cr Ultimates. 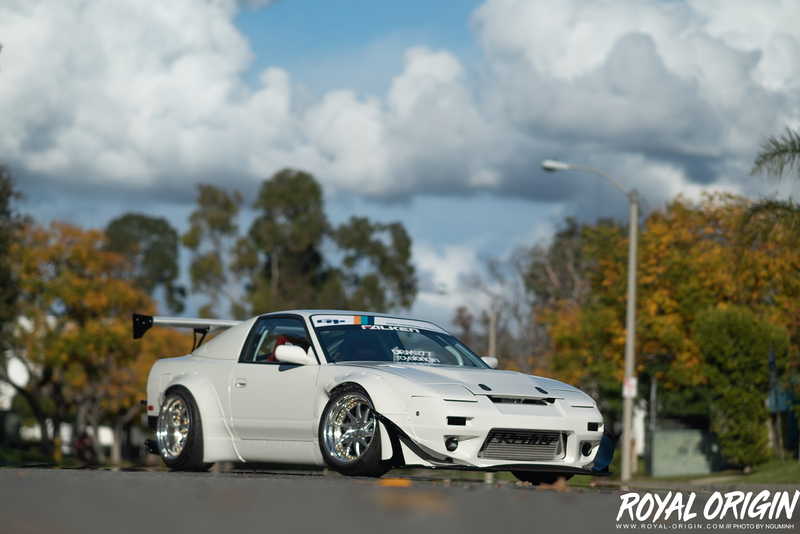 It’s not how you stand by someone else’s car, it’s how you drive it. 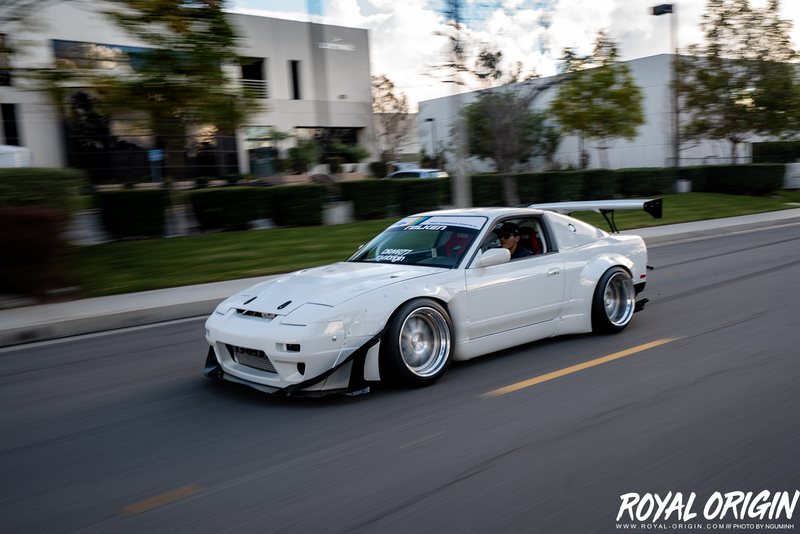 Only need the basics in this car. 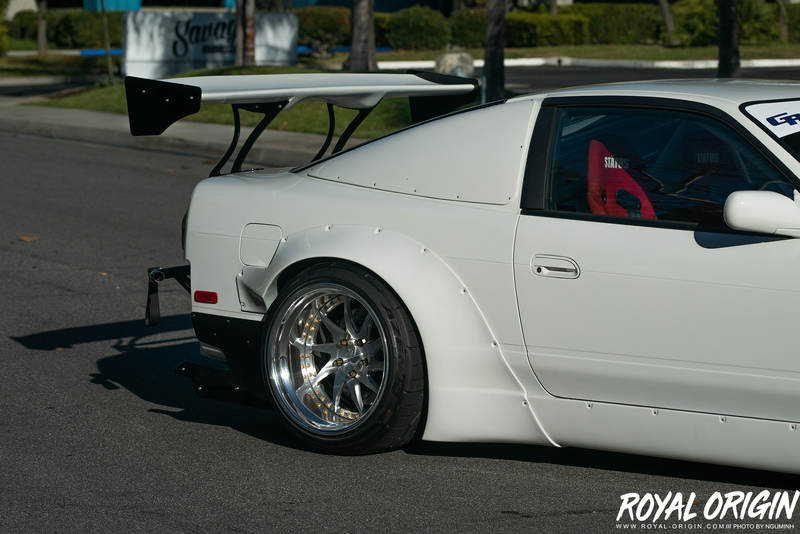 Custom window panel made by Robros Customs. 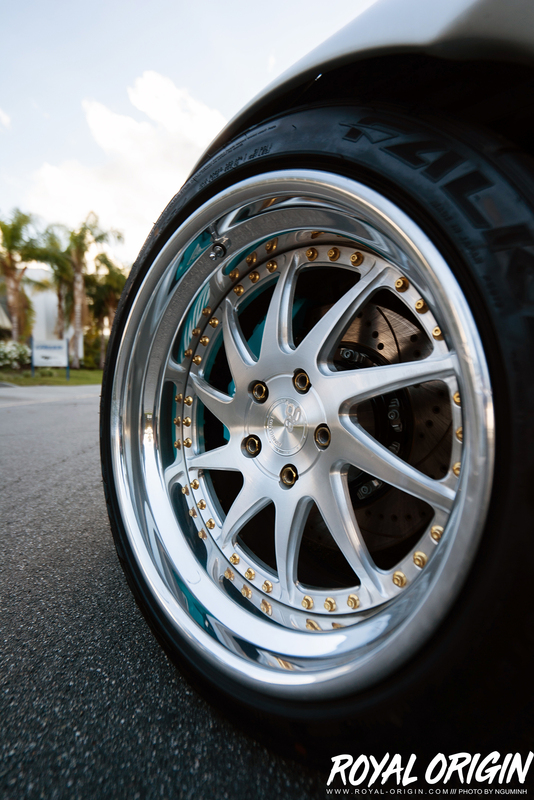 AG wheels and a custom big brake kit for DREAMER 77. 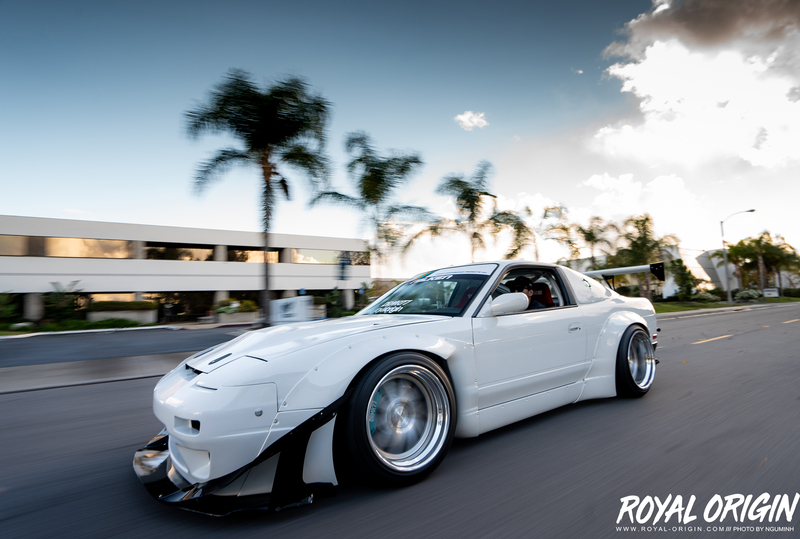 Safe travels Sparkle’s S13! 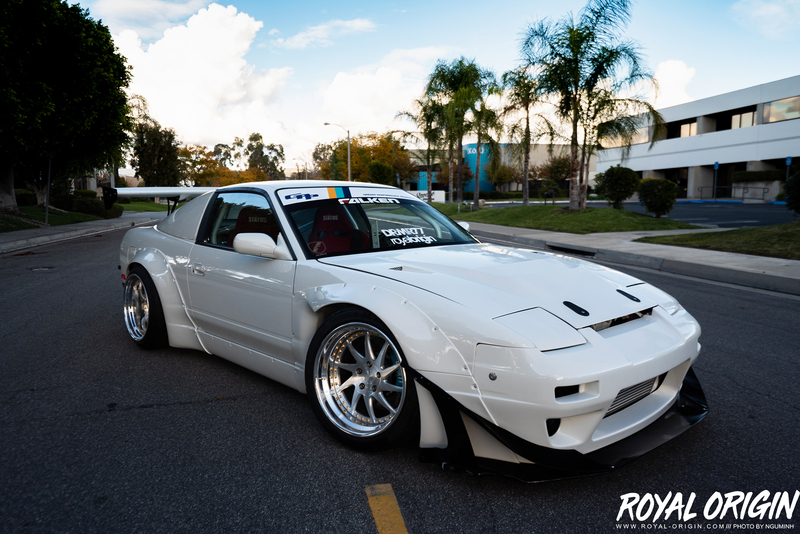 I hope to see you one day in the mean streets of Taiwan.